A councillor is calling for Northamptonshire County Council to put on hold plans to close 21 of its libraries until the outcomes of a judicial review are known. Community groups who are hoping to step into the breach and take over the libraries have until the end of this week (June 22) to get their bids into the county authority. Just ahead of the deadline, county councillor Chris Stanbra has submitted a motion to this Thursday’s full council (June 21) asking his fellow local politicians to vote to pause the current process. A judicial review is set to take place in the coming weeks at the Royal Courts of Justice after two separate families took legal action against the county council for the proposed library closures. The original date of June 21 for the judicial review has been put back and a new date has not yet been set. There is also controversy around NCC’s proposed sale of a Carnegie library in Irchester. The county authority took ownership of the library in the 1960s without payment and now is asking for £195,000 from the original Irchester Parish Council if it wants to take back ownership. The county council has proposed to close the 21 libraries as part of savings measures. If closed it will mean that just 15 libraries remain in Northamptonshire. The county authority is in the middle of a financial crisis and is being overseen by two government appointed commissioners. An FOI request from a library campaigner has revealed that the authority stands to make £3.25m if it sells of the 12 libraries it owns. The community groups proposing to take over the libraries have criticised NCC for the lack of information being provided and also the level of detail that it expects from the community group bids. Some Kettering councillors have requested that the borough council look into buying the threatened Rothwell and Desborough libraries from NCC. 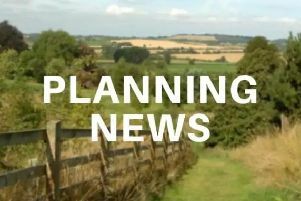 Kettering council’s executive will meet in the coming weeks to discuss the matter.